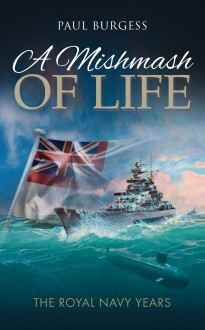 A Mishmash of Life: The Royal Navy Years is a sequel to A Mishmash of Life, the author’s first book about his early formative years in Oxford. This new book continues with the life of a sixteen-year-old boy entering into the Royal Navy in the late 1950’s. With humour and touches of sadness, it portrays the reality of life. It will give the reader an insight into the life aboard some of Her Majesty’s ships and establishments, including submarines, through the first-hand experiences of the author – experiences that took place during the uncertain years of the cold war. It was satisfying for the author to be a small cog in a very large wheel that helped to maintain world peace – a role that has now become part of history.